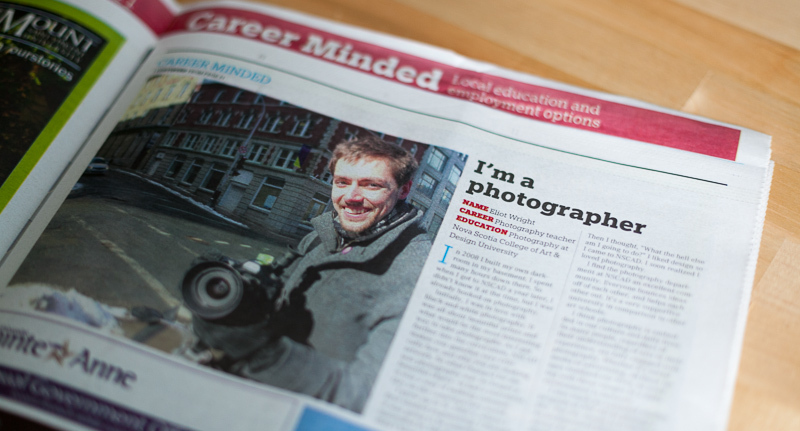 Check out this weeks Coast Magazine for the Career Minded article. Coast writer Alyssa Gallant talked to me about my time at NSCAD University, what brought me there and what some of my aspiration as a photographer are. The feature also highlights some other recent grads from Halifax's various institutions discussing their respective professions and experiences getting there.